First Annual OPENING DAY EVENT!! Celebrating ONE YEAR of flying on our field! Mark your Calendar …Don’t miss it! READ the President’s Message for March… see the pics! A huge “Thank you” to V.P. Paul Smith for drawing the plans for… and then constructing… our new clubhouse building! 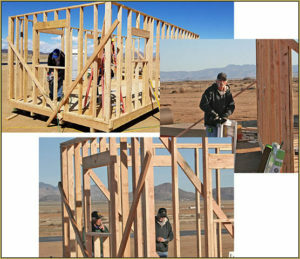 As of this writing, Paul and Zack… with an occasional hand from Jon, Boyd, MT Bob, and the usual cast of characters, out there!… has the foundation blocks placed, the floor built, the wall frames erected, the windows in place and the siding going on! … The building is 12×24 feet… funny how it looks small standing out there, by itself… but when you step inside, you find plenty of space for a Board meeting, a coffee-klatch, or a flight-simulator demonstration. READ the whole story… see all the pics! Winter is upon Kingman and even the retired, near daily, flyers have reined in activity!! Chilly/breezy weather has not stopped all flying and certainly has not stopped Golden Eagles growth and development. While we have several pilots flying as guests, they too will soon join the Golden Eagles. We are proud to welcome as our 15th and newest Business Associate Member: Edward Jones Investments – Matt Ladendecker. Thank you Matt and Team, we look forward to you all visiting the flying site when it warms up a bit. 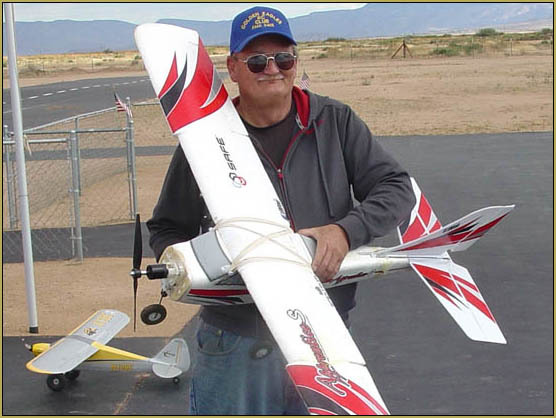 As a sanctioned AMA Club, the Golden Eagles RC Club is not required to enforce FAA registration… but the Federal Government, the FAA, requires all RC pilots to purchase a registration number from the FAA… $5 for three years, I think… and, like having your AMA number noted inside each of your models, we are required to have that FAA registration number on each of our aircraft. … There are a few types of models that are exempt, but almost all we fly out at the field needs to have that FAA number on it. Jack-2 had learned to fly RC back in the late ’80’s… and then dropped the hobby, until Now! Working with Shawn and Jon since October, he quickly re-learned how to fly RC. Big Congrats to Jack-2 Carter! Nitro Trainer Update: Rick Atkeson enjoys Heavier-than-Foamie experience! Rick volunteered to fly Eric’s nitro trainer on buddy-box with him, today. We connected the trainer-cable between my modern Futaba 8J radio and the old Futaba Flysport radio that MT Bob supplied me with a few weeks ago…. tested the Trainer Switch… and away we flew! See the pics… Read the full story! Our Rich Caringi made his Solo Flight today! Congratulations, Rich! … Well done! READ all about it… see the pictures! Golden Eagle member Bill Cullis Made his Solo Flight today! Bil is FINE… his Apprentice?… a little less so! … but Bill held it together long enough to get through his solo flight today, October 20th… and it looks like that model will last a bit longer, still. See the pictures and the Story… Congratulations, Bill! PAULY!… Solos his Nitro Trainer! Boyd Hunt was able to train this eager student… teaching him how to fly a nitro trainer… not one of those modern little styrofoam gyro-engaged electronic gadgets, no!… a good old-fashioned heavy-weight nitro-burnin’ white-smokin’ oil-throwin’ high-wing “flying truck” of a trainer. CLICK to READ all about it… Pauly makes his solo flight! See ALL the articles on our pages! 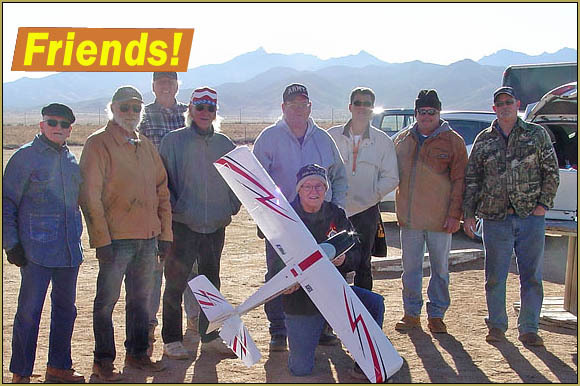 The Kingman Golden Eagles RC Club! 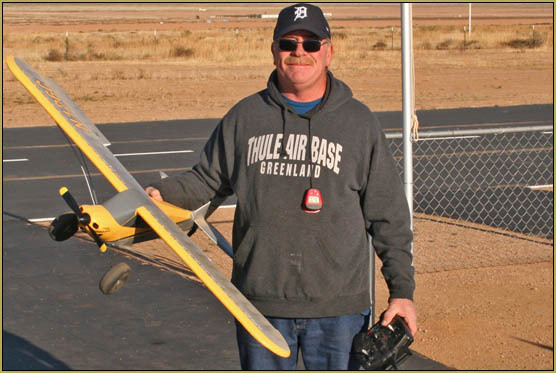 Have FUN flying with the Golden Eagles RC Club! Model airplane and quad-copter flying IS fun! 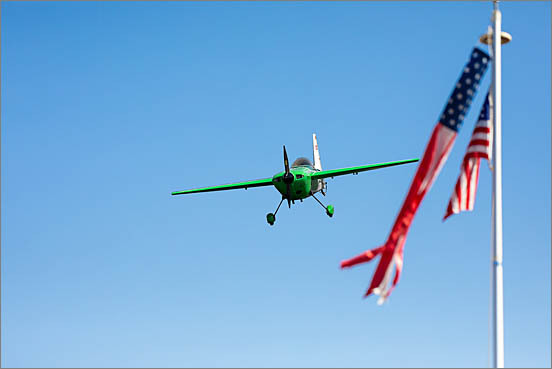 One of the main goals of our club is to keep the “fun!” in flying model aircraft of all types! The “Golden Eagles” is all about the people! Make friends that may last a lifetime when you become a part of the Golden Eagles RC Club! This hobby is a marvel in the way it brings people of all ages and all backgrounds together. Yesterday, you had nothing in common… and today, you are talking about radios and servos, and 4000mah batteries… and never, before, have you had so much to say about the weather! 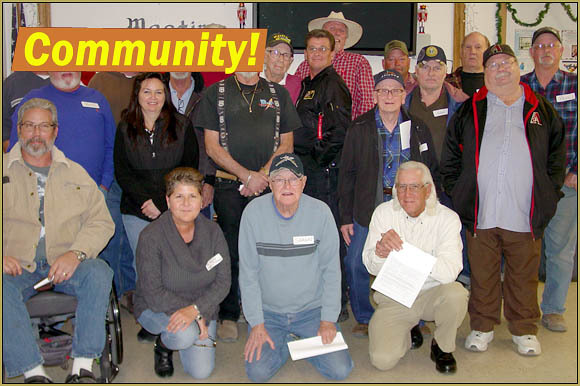 The Golden Eagles RC Club believes in “Community”! We don’t live in a vacuum. To make the club work we need the support of the community! The bylaws of the Golden Eagles RC Club are written so as to encourage the Club and its members to interact with the local community… we offer free Demo Flights to those who ask… we offer free RC flight training; all you have to do is ask and then participate in our Training program… We plan for demonstrations to be presented to the schools and local businesses interested in their own team-building through the hobby of RC aircraft. 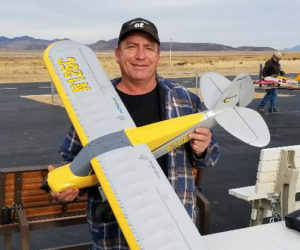 The Golden Eagles RC Club will be an active part of the Kingman area community. 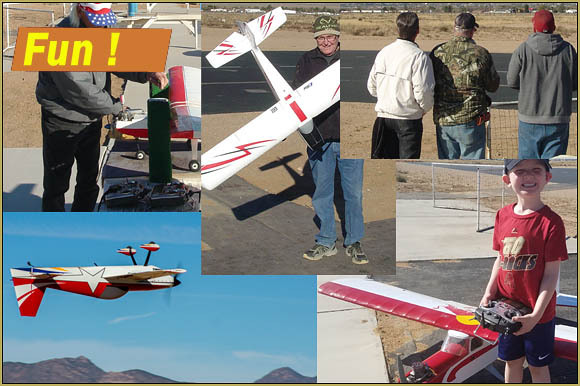 Come out and FLY with the Kingman Golden Eagles RC Club! The flying site is open to the club’s members 24/7/365! 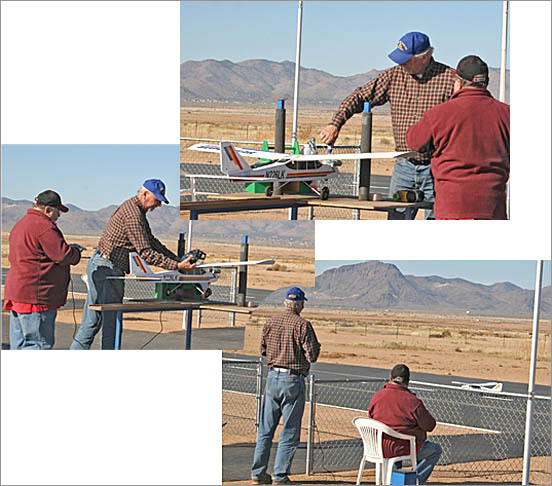 Whenever the weather is nice, you may see active RC modelers enjoying the field. We welcome visitors! If you see us out there, stop-in for a visit… chat with our members; we are proud of our club and happy to share about our hobby. If you are new to RC flying, consider setting-up a Demo Flight or, maybe, just jump-in and sign-up for the Flight Training program!